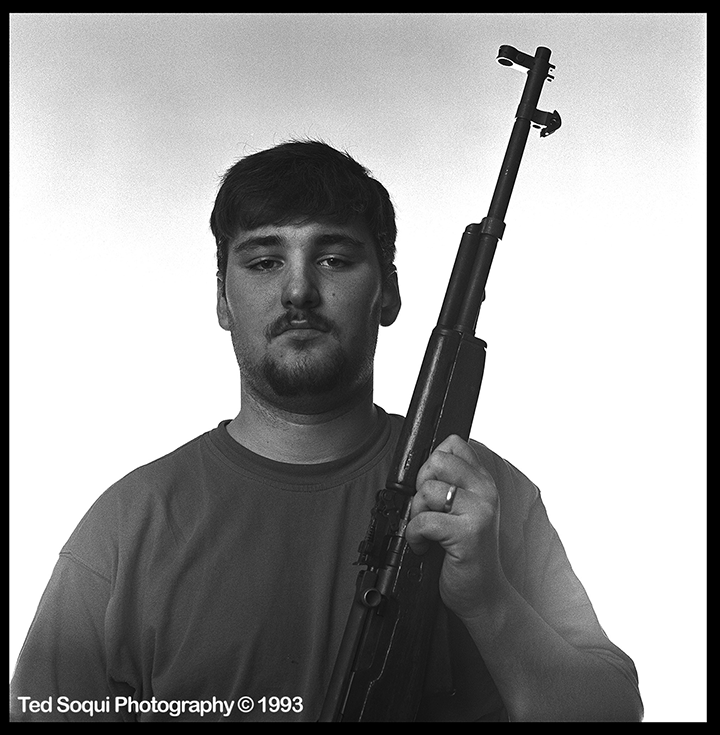 22 years ago I went to several gun ranges in Los Angeles to photograph a post-riot Los Angeles. 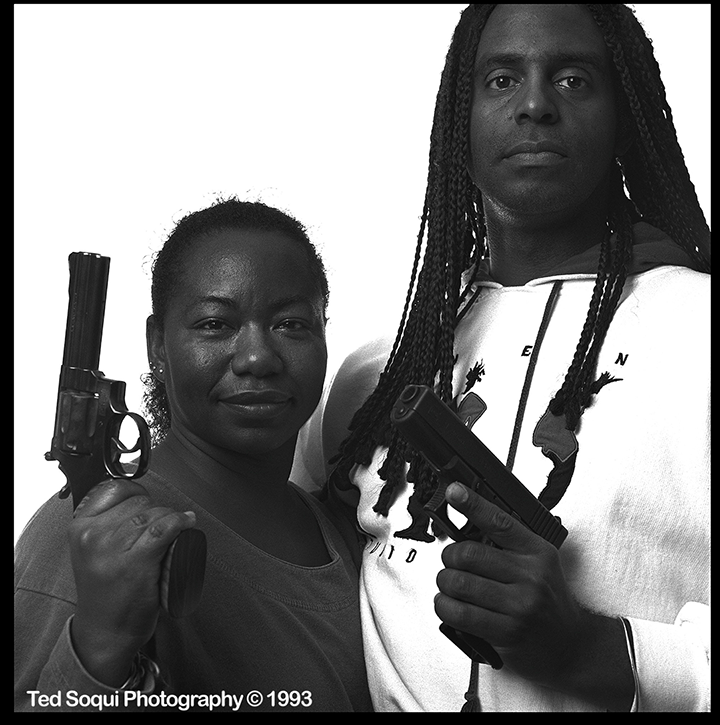 There was a huge spike in gun sales after the 1992 LA Riots. 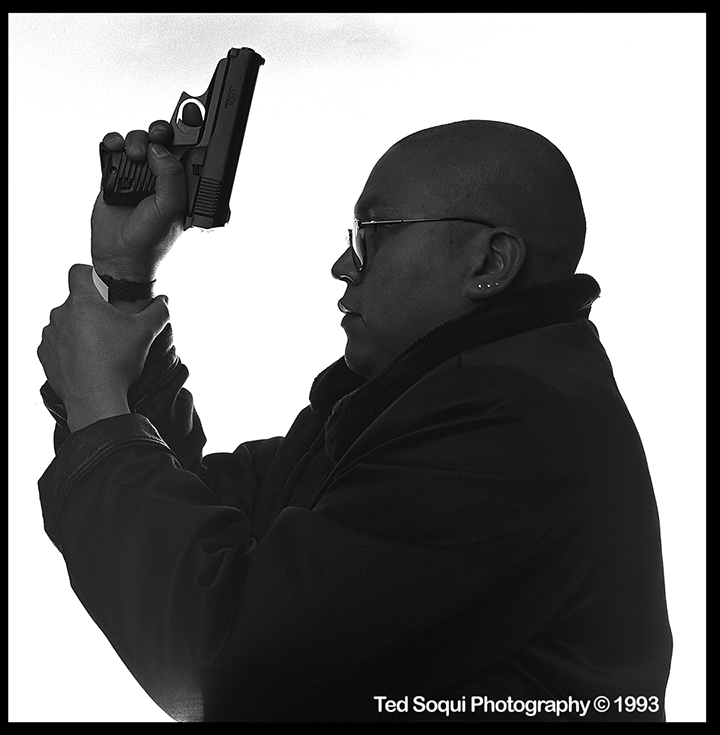 The ranges were full of new gun owners testing out their weapons. 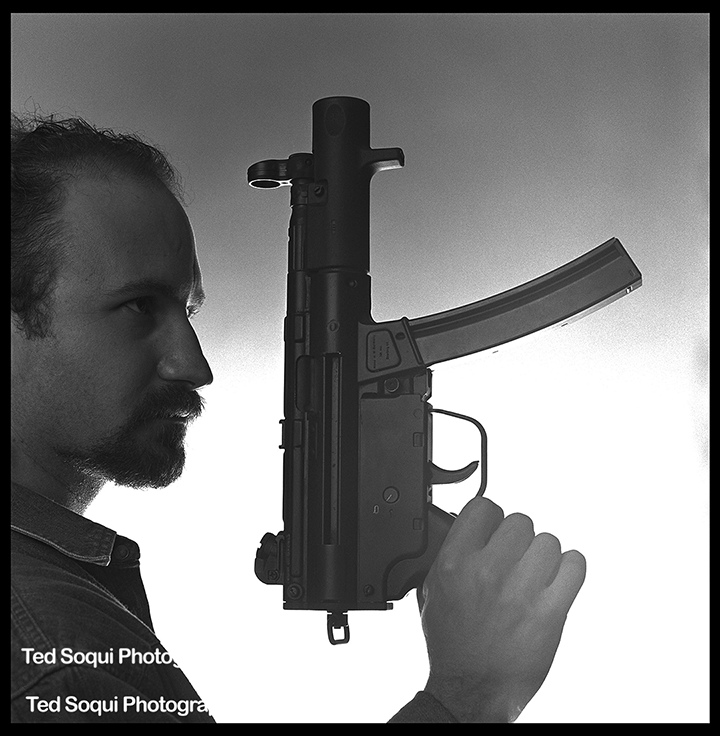 I set up a background and used a 501 Hasselblad with a 120mm lens and Tri-X 120 film. This is a small sampling of the folks I met.